Carpet cleaning is normally done for the beautification of one’s home. 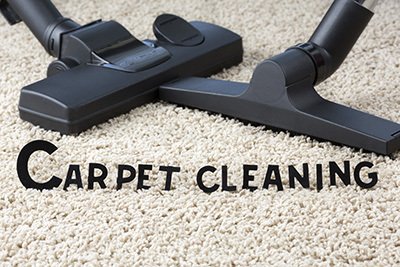 It is also done to remove pesky stains, dirt, sand, grit, and all kinds of allergens from the fibers of carpeting. The cleaning can be done using one of two different methods, wet and dry. Dry carpet cleaning methods are a misnomer in that some water is used in several dry methods. One method, called encapsulation, is becoming more popular among carpet cleaning companies. In this process, a cleaning solution is applied directly to the surface of your carpeting. Some type of rotary cleaner or brush applicator then works the cleaner into the fibers. The compound's crystals will absorb, similar to a sponge, dirt and particles which is then vacuumed away. Wet methods involve the use of hot water or steam and the usage of some type of cleaning solution. High-pressure hot water extraction normally involves the use of an ammonia-based solution for synthetic carpets and an acidic solution for woolen carpets. The solution is applied to the carpeting and worked into the fibers using a grooming brush or wand and then extracted from the carpeting. All wet methods will require more drying time than dry methods. You do not want to choose the wrong method to clean your home’s carpets. Choosing the wrong method can reduce the life of carpeting, and you do not want that. Generally, most carpets can be cleaned using hot water extraction. If you have any carpeting that bleeds, though, you will want to use a dry method. A simple test can be done to determine which method you should use. When considering carpet cleaning, complete a simple fiber burn or chemical test in order to choose the proper method of cleaning.